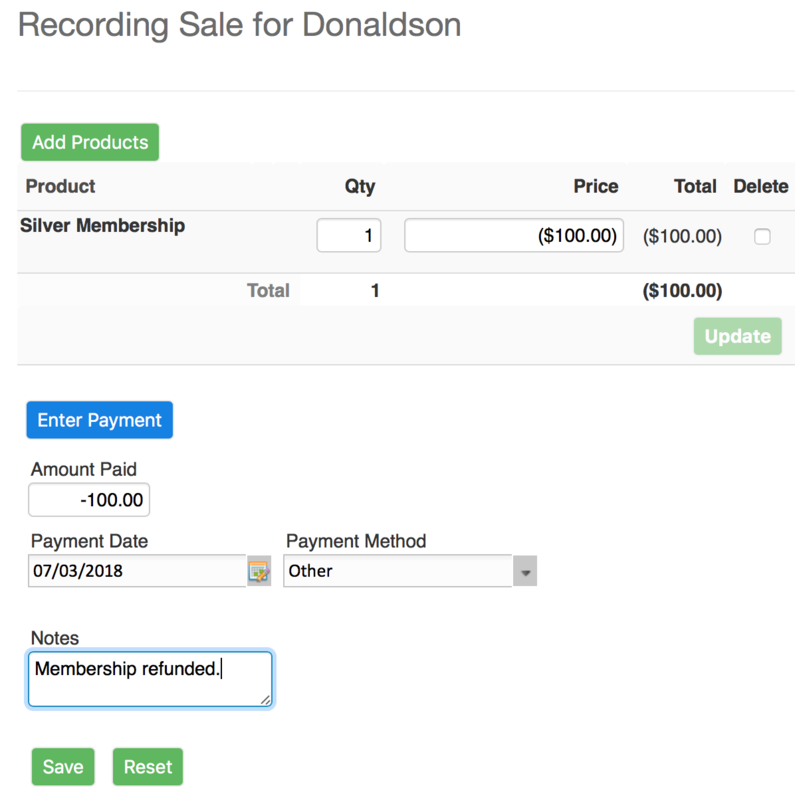 Use Record a Sale to enter a sale reversal. Enter the product originally purchased with a negative dollar amount, then select Update. If the product was a Membership Type (Family, Parent, etc.) and the parent will no longer be an active member, go to Membership to set Membership status to Inactive. Reversing the sale doesn't automatically clear their membership status. Edit the product quantity for original and reversed sales under Review Sales. Note: the instructions above ensure an audit trail in MSA. If the audit in PayPal is sufficient, skip steps 2 and 4. Go to Store / Review Sales and delete the sale.